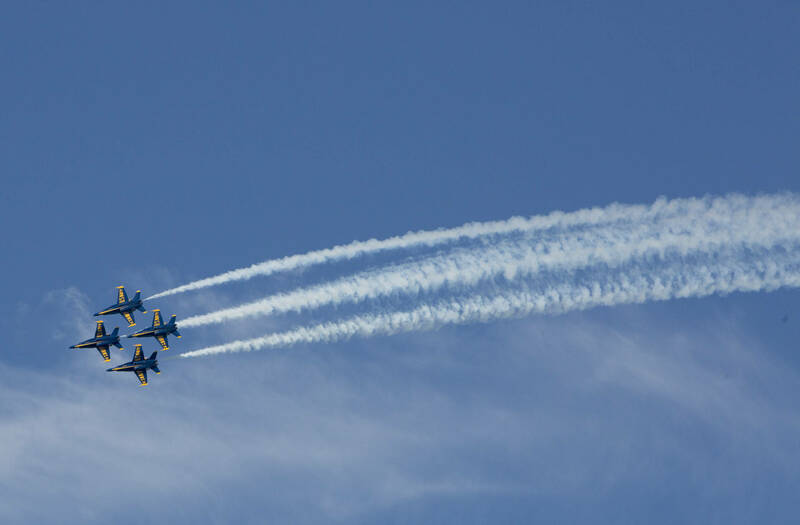 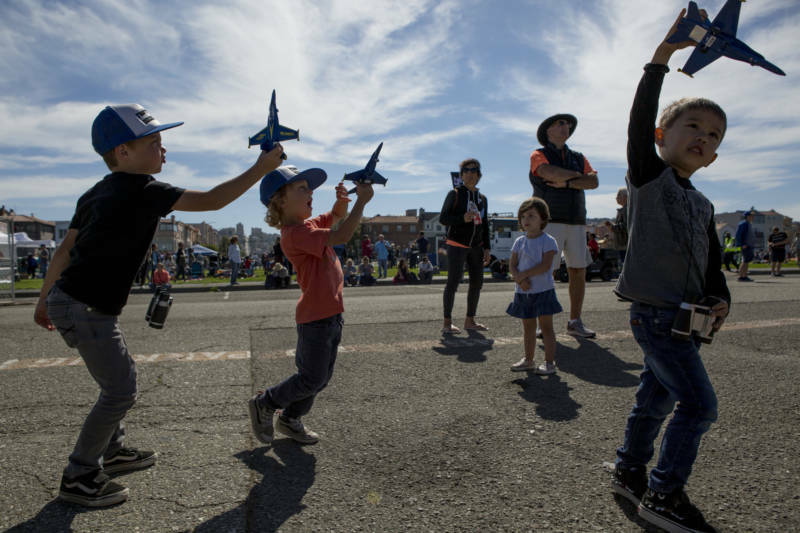 On Friday, thousands of spectators arrived to the Marina Green with picnics, binoculars and cameras in-tow to watch the first air show of this year's San Francisco Fleet Week. 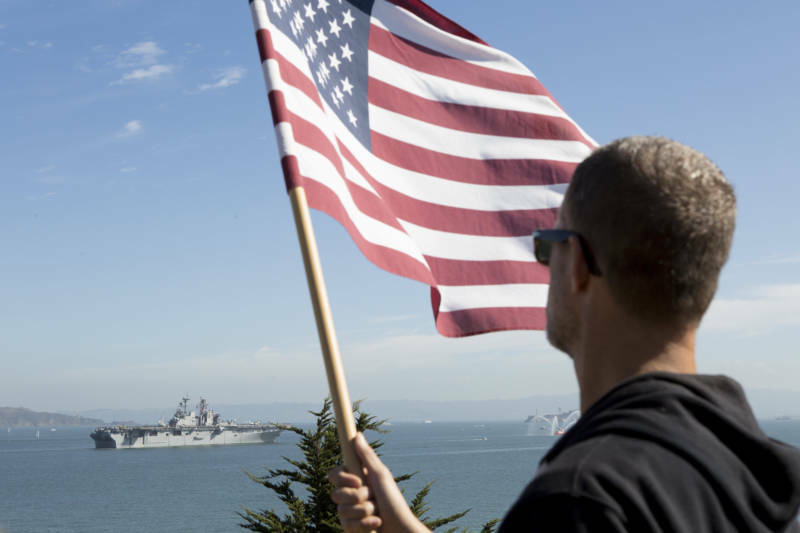 The annual naval festival included the parade of ships and stations where attendees could learn about Navy, Marine and first-responder operations. 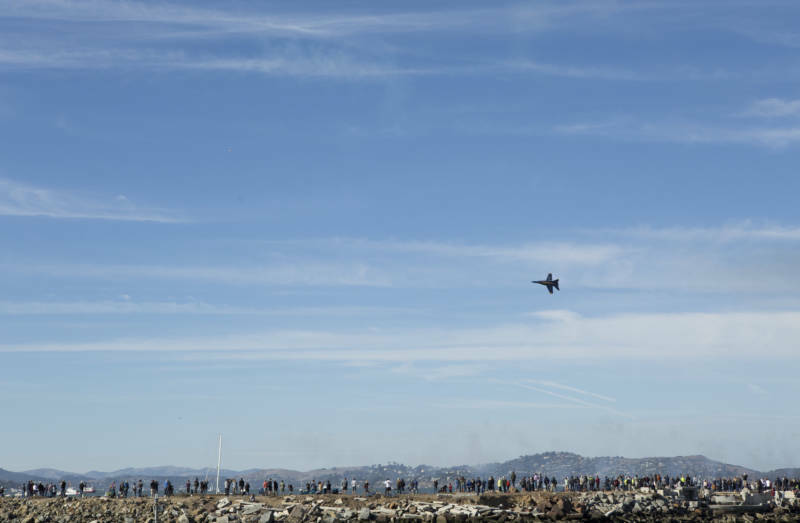 Everything culminated with a performance by the U.S. Navy Blue Angels soaring above the crowd. 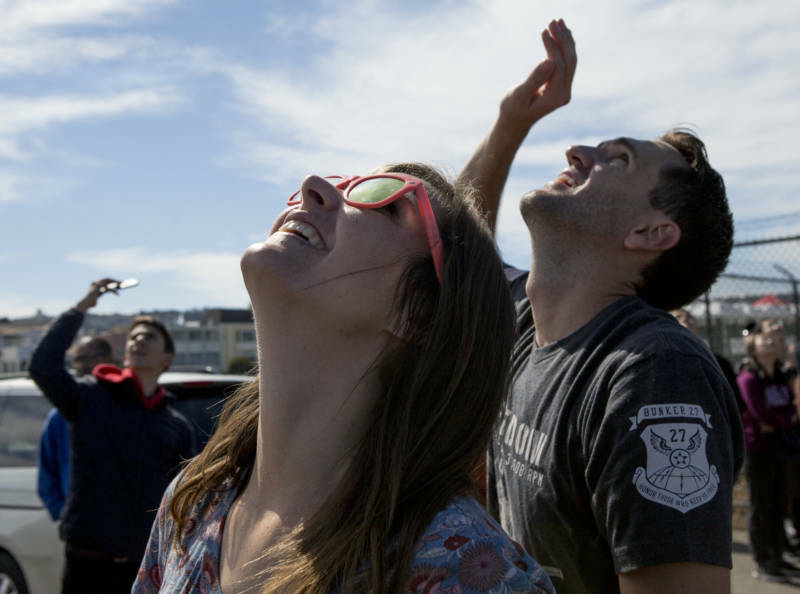 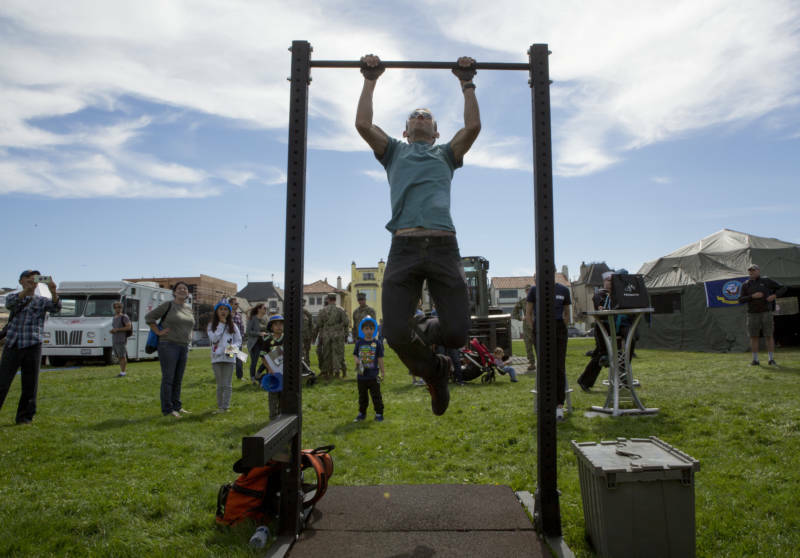 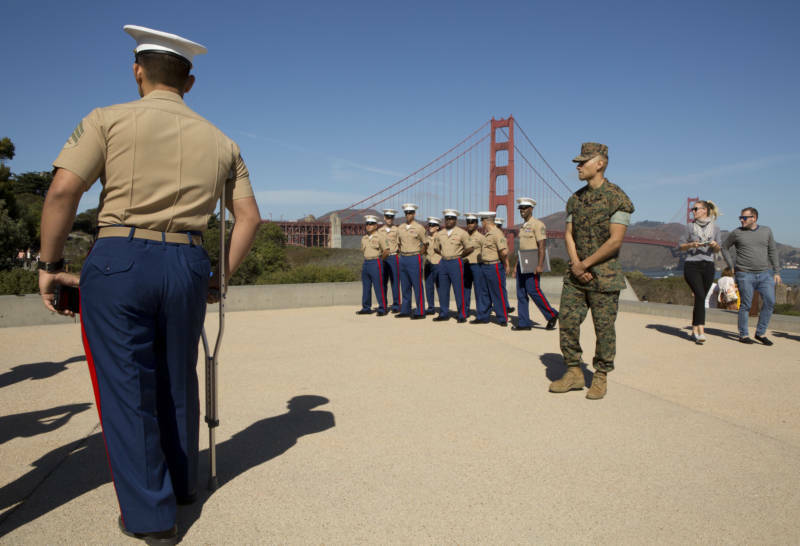 The last day to catch San Francisco Fleet Week events is Oct. 7. 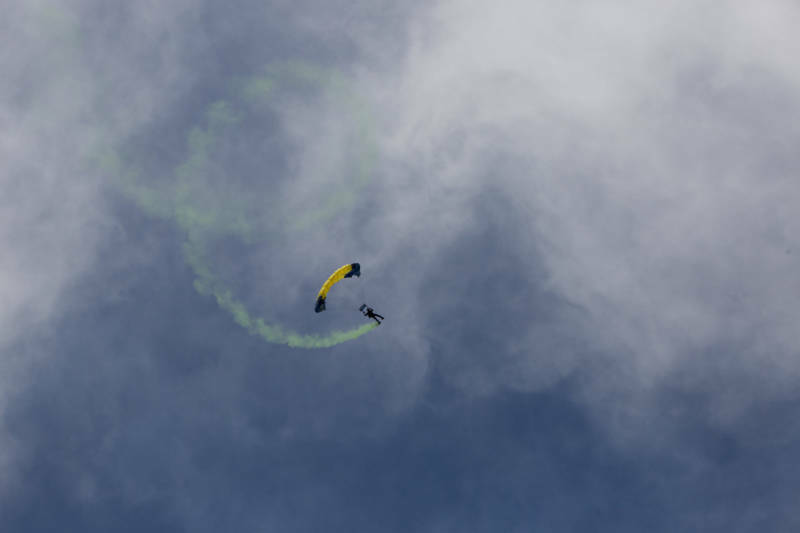 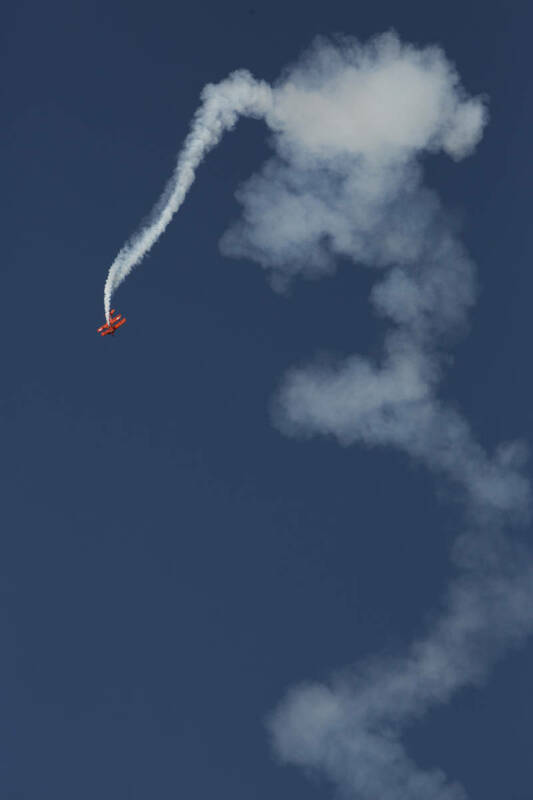 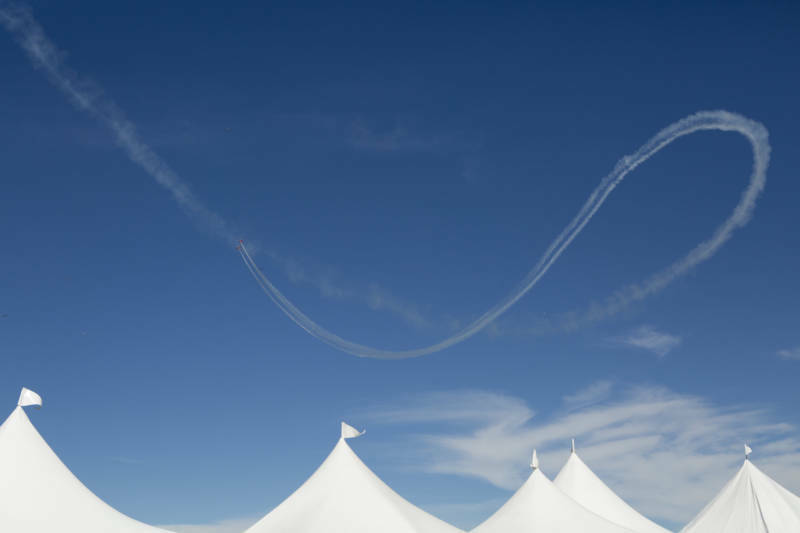 Sean D. Tucker and John De Gennaro fly above the festival tents in a dual performance during the Fleet Week air show. 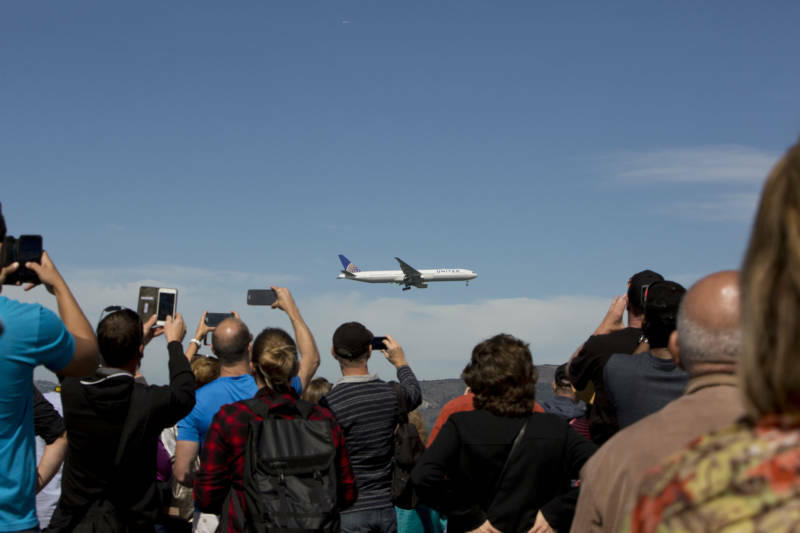 The crowd takes photos as United plane 777 flies very close to the surface of the San Francisco Bay.